You’ll never forget the experience you’ll find here! Discover the places you have never been before! Ethiopia is a land full of mysteries in palaeontology & geology, in its ever changing topographical view, in the diversity of its animal and plant life and in its tumultuous national history. Its rich variety of cultures and historical traditions are indeed highly remarkable and are the few reasons for many to be drawn for a visit. 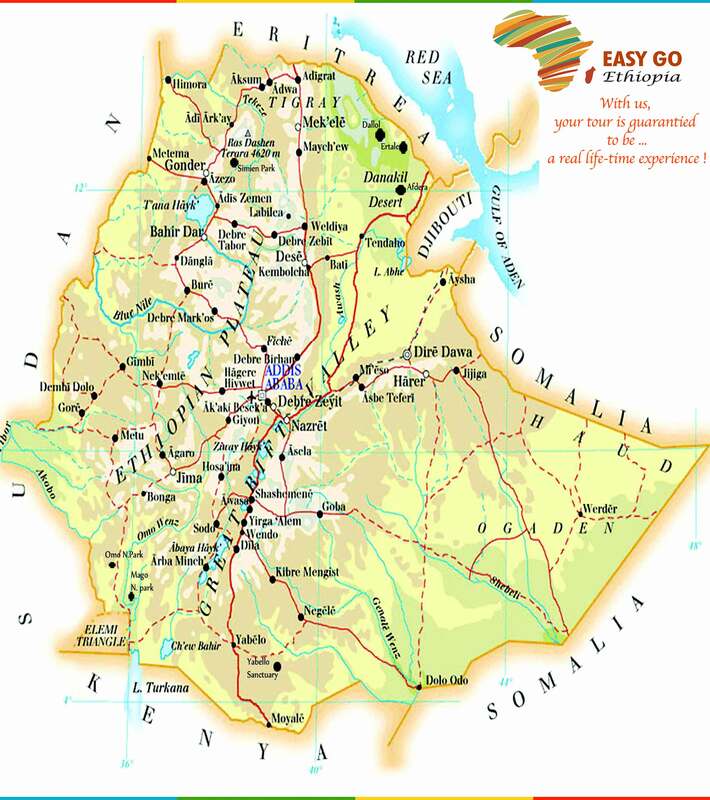 Ethiopia is located in the northeastern part of Africa, popularly known as the Horn: – bounded on the East by Djibouti and Somalia, on the South by Kenya, on the West by South Sudan & the Sudan and on the North and Northeast by Eritrea. Lying between the Equator and the Tropic of Capricorn, its area is 1,133,882 square Kilometers. As such, Ethiopia is as large as three times Germany or France and Spain combined. Most part of the Ethiopian landscape is elevated volcanic plateau rising from 2100 – 4400 meters.  This decreases towards the country’s borders. The Great Rift Valley traverses the Danakil desert, which contains the lowest and hottest settlement on the planet. 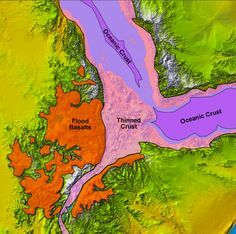 It then extends to the southwest of Ethiopia and further south as far as Mozambique. The dramatically contrasting landscape of Ethiopia indeed captivates any visitor. 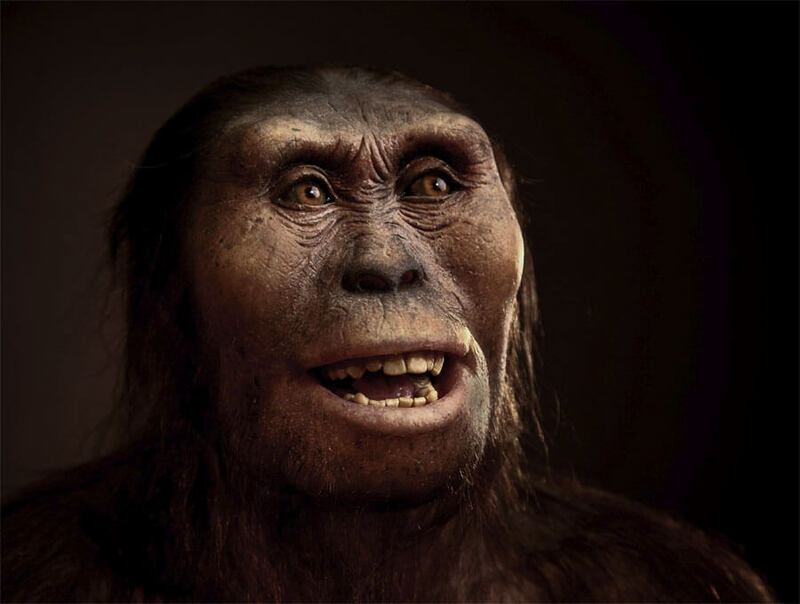 According to most recent discovery, the earliest hominids are supposed to have evolved in the north-eastern part of the Great Rift Valley in Ethiopia: Lucy, 3.4 million & Ardi 4.4 million years old. 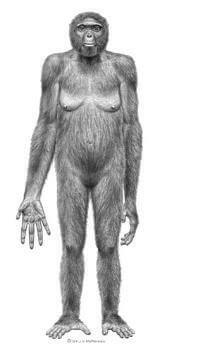 These are the most distant hominids discovered so far, found at Hadar in the Awash Valley. Ethiopia is again home to coffee that has quickly taken its natural place top on the consumer’s list of modernity since its discovery. As a land of great physical contrasts, its various territories are scenic and awe-inspiring. The innumerable, magnificent crater lakes characterized by their aquatic life, the alarming abysses, the interweaving rivers, the enticing and graceful waterfalls, the extraordinary Savannah, the unusual wild domains and the uncommon natural phenomena in some parts of this bounteous country are mystery-shrouded and bizarre. 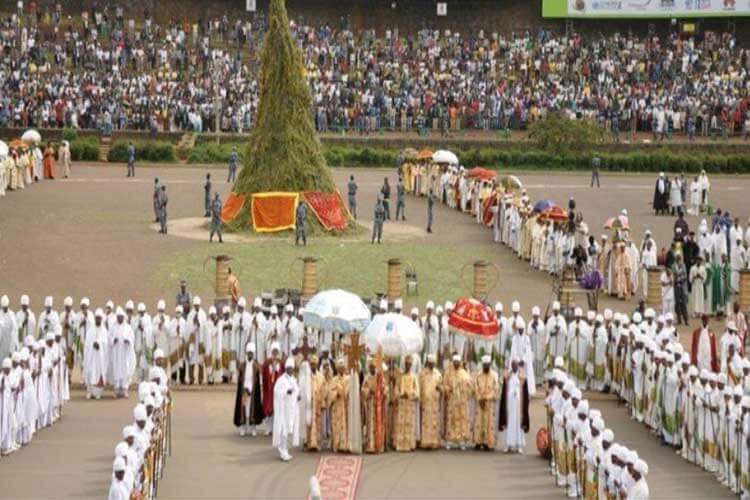 Currently, there is a general consensus amongst modern historians that a kingdom under the name of D’mt was established around the 8th c BC in north Ethiopia with its capital near Yeha, under which a native Ethiopian civilization flourished. In the 1st c AD, the Axumite Empire emerged, contemporaneous with Rome, Persia & China. 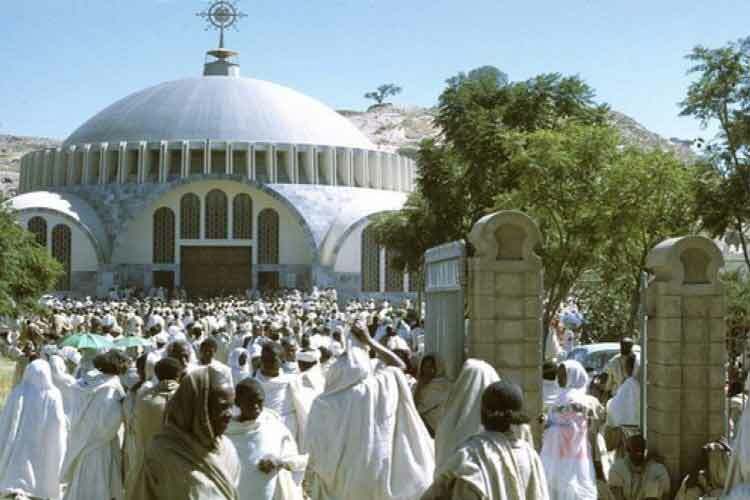 Axum adopted Christianity around the 4th c AD becoming the first major power to do so. 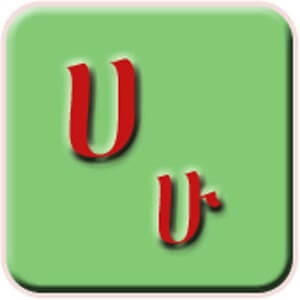 Ge’ez, equivalent to Latin, emerged as an indigenous language with its own alphabet, supposed to have been developed from the Sabean or Himyarian alphabet and served the development of the D’mt civilization as well as the Axumite Period. 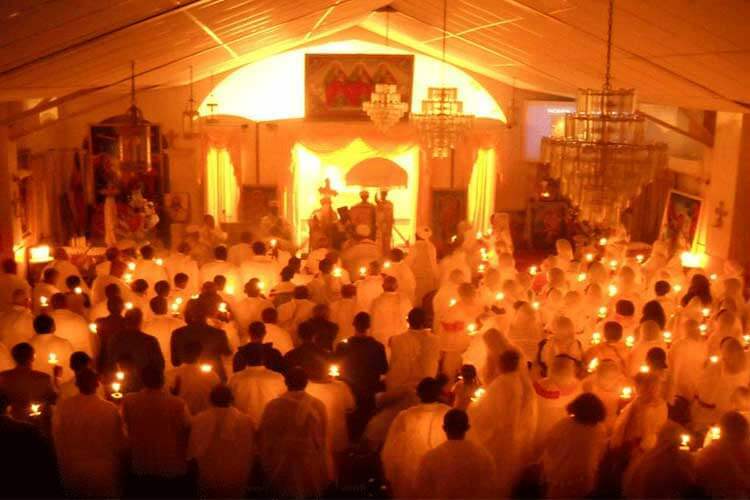 Today, it serves as the liturgical language of the Ethiopian Orthodox Church. St. Yared developed Church music using music notation in the 6th c AD in Axum. Some of the first followers of Prophet Mohammed sought refuge in Ethiopia fleeing persecution at home. They were granted asylum by the contemporary King of Axum, King Ashama known otherwise as Annejash (Arabic adaptation of ‘The King’). 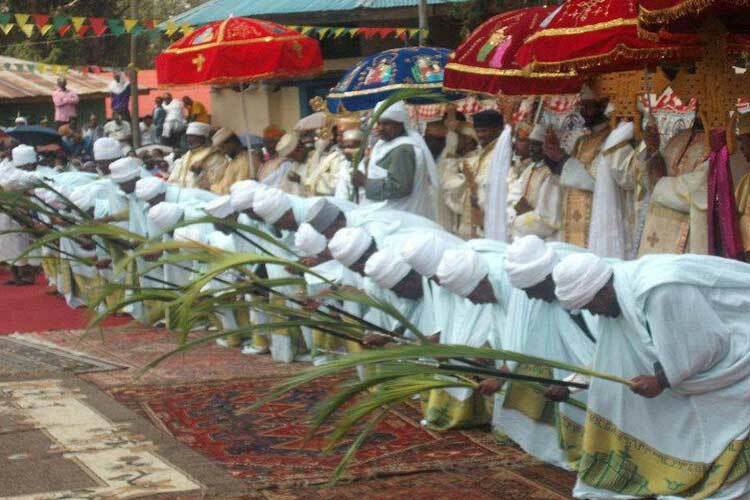 While conferring unequivocal respectful position to King Ashama in the diplomatic world, this occurrence signified the historical introduction of the new religion into Ethiopia. 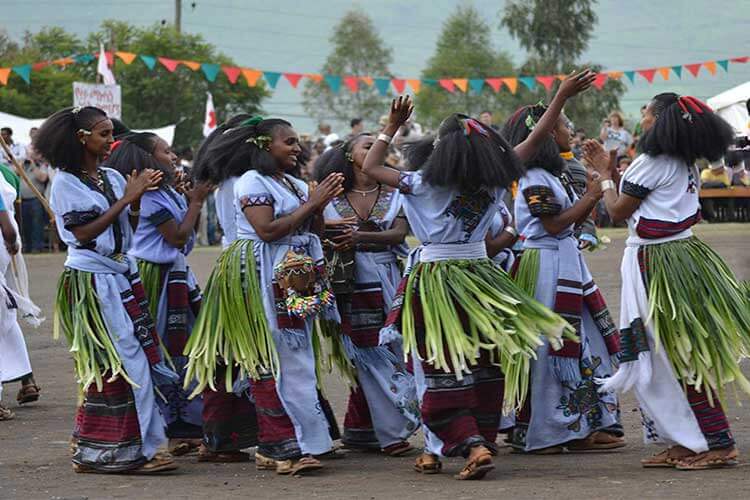 UNESCO has thus rightfully registered, so far, ELEVEN world Heritage Sites, placing Ethiopia at its expected forefront position in the African continent. The center of power shifted from Axum to Lalibela when the Zagwe dynasty took over the reign after the decline of the Axumite Empire. King Lalibela was the most successful of the Zagwe kings and had 11 Churches hewn out of living rocks to create a second “Jerusalem”. In the early 17th c., under King Faisladas, the center of power shifted again to Gondar. It was Emperor Menelik II who expanded & consolidated the empire to today’s size creating a new lasting power center in Addis Ababa. 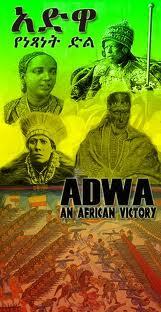 He had to ward off an Italian ambition to annex the country, defeating them in 1896 at the battle of Adwa. Haile Selassie, claimed to be the 225th emperor of the Solomonic line and was crowned in 1930, reigned for half a century until he was deposed by a popular revolt in 1974. The military regime, “Derg”, usurped the mass revolt & ruled Ethiopia since then until it was overthrown in 1991 by the incumbent front. 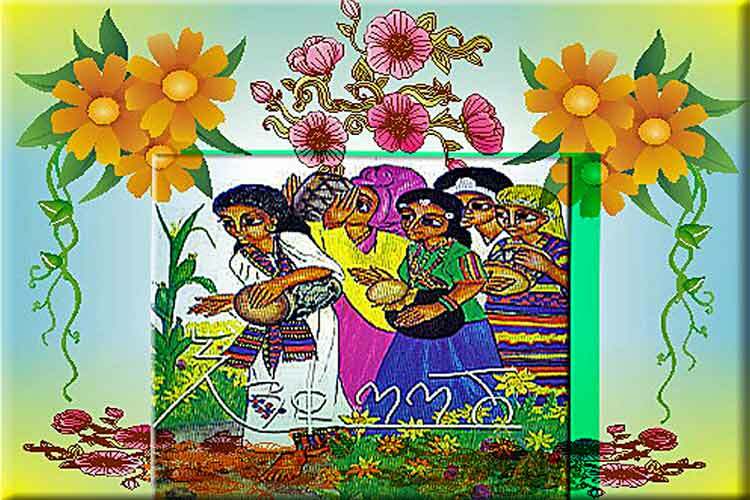 Contemporary Ethiopia is home for about a 100 million people with diversified cultures that blossom in unison creating the Ethiopian socio-economic fabric. The young mega city, Addis Ababa, is booming fast to claim its prophesized namesake, New Flower. With more and more global as well as continental offices like UNECA, AU, PACCI now condensing onto it, it would be most appropriate to call it the world capital for Africa. Ethiopia’s attractions are numerous and diverse, and no single journey could enable one to cover them all. The selections below are a pinpointing rather than a comprehensive list. 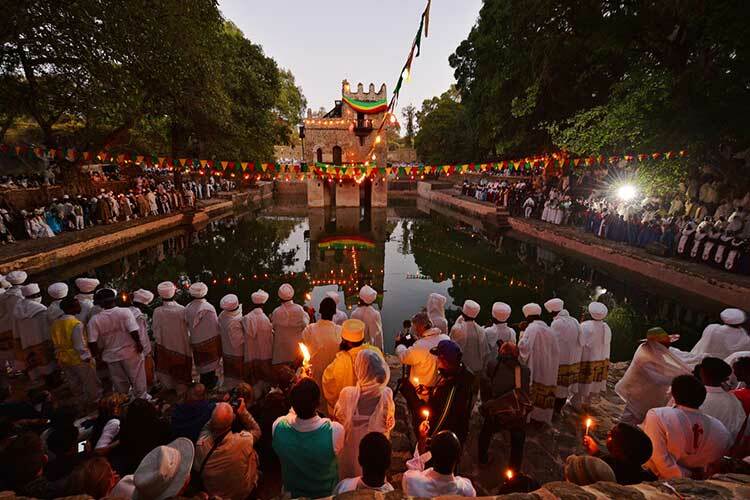 Much of the fascination of this country lies in its myriad historical sites, the obelisks and stele of Axum, the numerous of rock Churches and monasteries in Tigray, Lake Tana isles and in Lalibela – the African Jerusalem with its monolithic Churches. 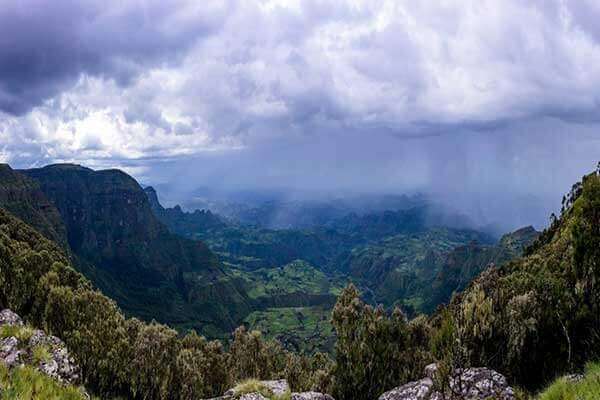 Ethiopia has so far nine gazetted national parks and more will soon join the list. The unforeseeable wild landscape is surely the main attraction of these parks. Ethiopia is also a good haven for bird watchers with as many as 833 bird species to be found. Ready to discover places that surpass your imagination? 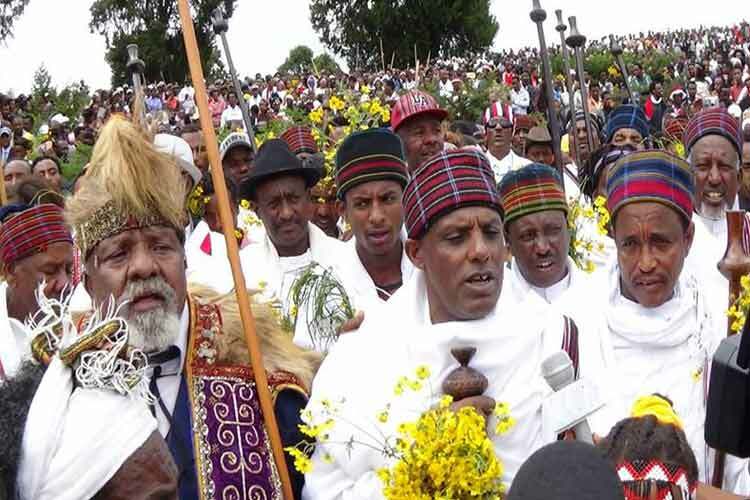 Adwa is permanently remembered by all freedom loving people of the world in association with the historical and irrevocable triumph of the Ethiopian Army under Emperor Menelik II over the Italian invaders in 1896 at the battle that took place near the town. The ruins of a pre-Christianity Moon Temple of Yeha dates from around 2nd c B.C. 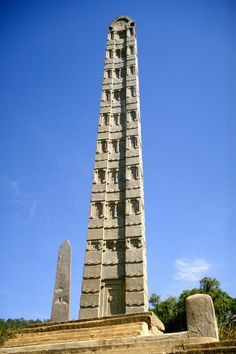 & is located at some 45 km from Axum – probably the oldest structure. Next to this Temple stands today the Church of Abun Aftse. Some 700 km north of Addis Ababa, nesting in the foothills of the Semien Mountains at 2,200 meters above sea level, lies Gondar. It is founded by King Fasiledes. In Gondar you will see the royal enclosure – palaces built by the king and his successors from 1636 onwards. The palaces were built with collaboration of both Portuguese & Indian architects and builders. You may set climbing Ras Dejen (Dashen) at 4620 m, the tallest peak of Ethiopia (4th in Africa) for your goal as the highest attraction in Ethiopia to be included in your trekking in the Simien Mountains. dates from around 2nd c B.C. 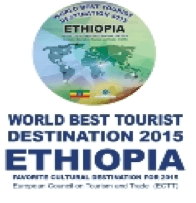 & is located at some 45 km from Axum..
for its historic and cultural sites. You will meet the Mursi tribesmen in one of their settlements near the Mago National Park. There is big chance of encountering several antelopes as well as Bufaloes with in the park. On the west side of the Omo River we find the relatively untouched Omo Naional Park where you have a better chance of game driving. Lions, Eland, Bufaloes, Swayne’s Hartebeest and more with a diversity of game and more than 300-bird species are to be encountered. 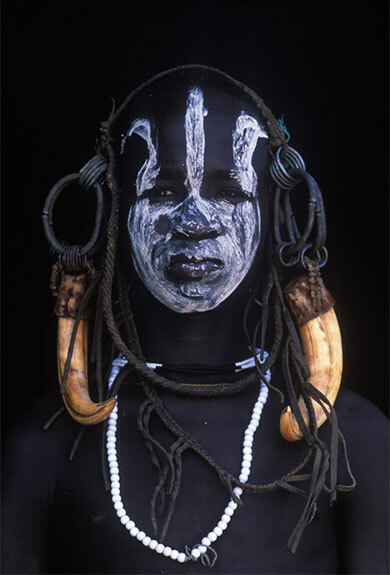 The Surma are found on the west bank of the Omo. Like some of their cousins on the other bank they go in for body painting and the women wear earlobe & lip plates. 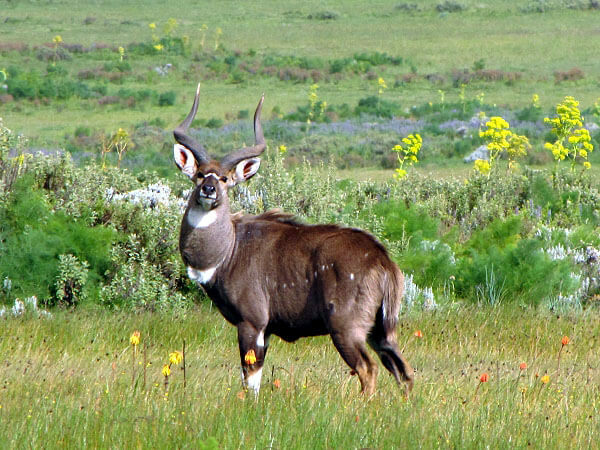 Unique flora and fauna, which is the habitat of the endemic Mountain Nyala (an endemic Gazelle family) as well as the Ethiopian Wolf (Red Jackal). This park is located in the remote southeast of Ethiopia. You will be watching the marvelous folded Bale Mountains with its spectacular scenery, unique flora and fauna, which is the habitat of the endemic Mountain Nyala (an endemic Gazelle family) as well as the Ethiopian Wolf (Red Jackal). Birders could encounter here most of the endemic & semi-endemic bird species of Ethiopia. 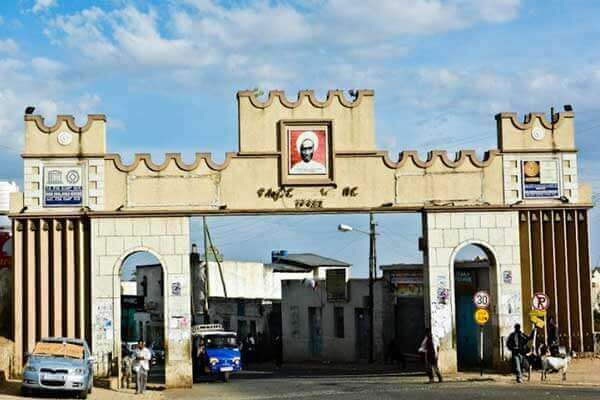 Harar is a walled Islamic city famous for its historic and cultural sites. The city’s location gives wonderful view of the surrounding country- the vast Danakil desert to the North, the fertile Harar Mountains to the west, and the cattle rich Ogaden plains to the south. The traditional Harari house, the hyena men showing live mouth to mouth feeding of the wild hyenas, the exciting free-sky market that is an ideal place for shopping are unique attractions to Harar. The ‘city of 100 mosques’ is also known to be home of the friendliest people in Ethiopia. Lies between the two lakes of Abaya and Chamo. Here, you may encounter Burchell’s Zebra, Gazelle, the endemic Swayne’s hartebeest and more. Back on Lake Chamo, you may watch herds of hippopotami and crocodiles. 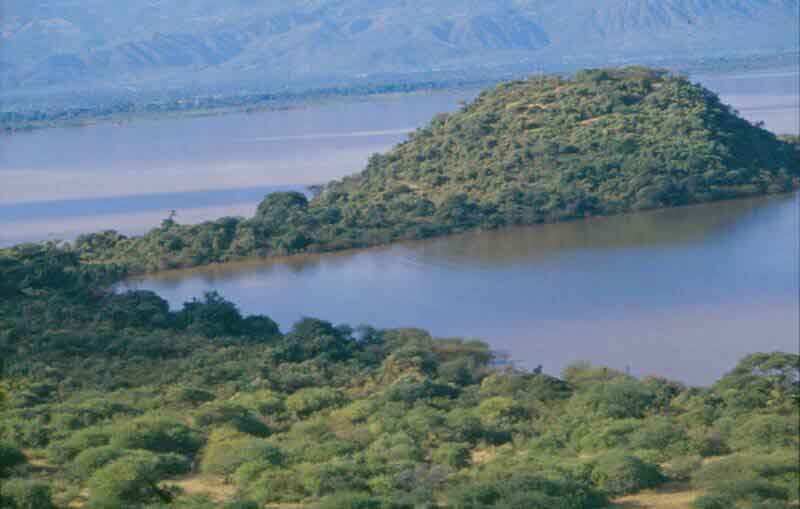 Arba Minch is situated by Lakes: Chamo and Abaya, the most southerly of Ethiopia’s Rift Valley lakes. It is our base to explore Netchsar National Park & Chencha, home to the Dorze people that are famed for their elephant head symbolized houses and their colorful hand-woven cotton fabrics. Netchsar National Park lies between the two lakes of Abaya and Chamo. Here, you may encounter Burchell’s Zebra, Gazelle, the endemic Swayne’s hartebeest and more. Back on Lake Chamo, you may watch herds of hippopotami and crocodiles. The Awash National Park is within a few hours’ drive from Addis Ababa. Its attractions include: nearly 400 recorded bird species, a variety of mammals including greater and lesser Kudu, Soemmering’s gazelle, Beisa Oryx, Salt’s dik dik, the Awash River and Falls, Fentale Crater and Filwoha Hot Springs. Drive north of Addis Ababa passing through a series of small towns to reach the monastery of Debre Libanos, some 105 km away. This monastery was founded in the 13th C by the renowned Ethiopian religious father, Abun Tekle Haymanot (later Saint). This monastery served as a religious center to the central part of Ethiopia. At around 200km from Addis, you will meet the panoramic view of the Blue-Nile Gorge. Taking a boat cruise over Lake Tana, you will be able to visit some 14th c monasteries like URa Kidane Mihiret. Driving some 35 km south of Bahir Dar you will reach the village of Tiss Abay to visit the Blue Nile Falls- Tiss Issat. 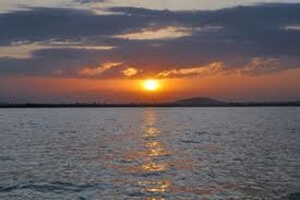 Back in town, you could visit the market as well as drive for a great panorama of both the lake and the outlet of the Blue Nile from Bezawit Hill top, with a possible combination of sunset view. Axum is not just a historic scene, but also the dawn of civilization in Ethiopia. Axum is believed to have been the first Ethiopian capital from the 1st to the 10th century A.D. Christianity was introduced here during the 4th century A.D. But most amazingly, the Arc of the Covenant is found in Axum brought by Emperor Menelik, son of Queen Sheba of Ethiopia and King Solomon of Israel. Today, the Arc, which once housed the Ten Commandments, remains well hidden in Axum guarded by a patron monk. Attractions are here: the park of the stelae, carved out of one single fonite rock in the pre-Christianity Era, the palace ruins and tombs of King Kaleb and his successor son King Gebre Mesqel, the old and new St. Mary Churches of Axum, the swimming pool & palace ruins of the legendary Queen of Sheba, tri-linual inscription of King Ezana and Archeological Museums. 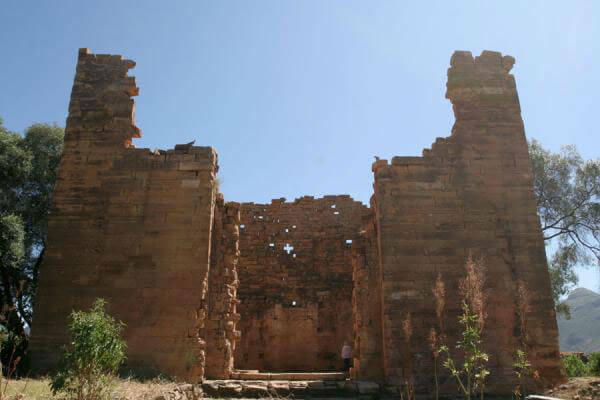 The pre-Christianity era Temple at Yeha with the adjacent Church of Abun Aftse as well as the oldest Monastery of Debre Damo are additional attractions that can be included in visit of Axum. The ever expanding and growing mega city, Addis Ababa, could be an ideal sample introduction to the ‘whole’ that is to be understood as the uniquly Ethiopian. Addis Ababa is indeed the capital of the world for Africa. Attractions in Addis include: the National or Archeological Museum, which represents the national history of the country with its archeological findings and collection of fossils, where the skeletons of “Lucy” dating back 3.4 m years, of “Selam” 3.5 m years & of “Ardi” 4.4 m years are found. The Ethnographic Museum displays diverse exhibits reflecting the livelihood of the various tribes as well as great collection of precious icons, crosses and music instruments of this huge country. One can also include a visit to one of the historical cathedrals in town. A drive to Mount Entoto would give you a chance for a panoramic view of the city as well. The Mega free-sky market, the Mercato, would also introduce you to the heart of the economic and financial fiber of the country. Where to Next? Check out Our Top Destinations for 2016! Do you need quality reassurance from our clients? FEEL FREE TO CONTACT US. WE LIKE TO TALK! © Copyright 2017 EasygoEthiopia. All rights reserved. | Designed by BMWeb-Creation.